Hand-In-Hand Early Years Nature Education Program (HIH) is an outdoor educational program, located in the Comox Valley and Campbell River, British Columbia, Canada that is designed to offer a unique early childhood learning experience for children aged 3-5 years. We believe in creating a safe and comfortable natural learning environment so that children can develop a strong educational foundation where they can explore, interact and learn in nature. Many Nature Preschools operate their programs completely outside and do not have an indoor space. As a result, Vancouver Island Health Authority (VIHA) cannot license these programs because VIHA only licenses indoor spaces and not the program itself. Because of this, many Nature Preschools, including our program do not qualify for government subsidy programs that help assist low-income families to register. To get around this, HIH has decided to create our own In-House Subsidy Program that will offer financial assistance to 3 low-income families so that their children can be offered an opportunity that they might not otherwise experience. HIH is hoping to reach our goal by September 2019 so that we can help financially assist 3 families for the next school year. Just knowing that potentially 3 children may be given an experience that they their families couldn't otherwise afford makes me incredibly thankful for any financial support! Just so you know, every single donated dollar goes directly to the Hand-In-Hand In-House Subsidy Program. There are no administrative fees or other external uses for the funds. It all goes directly to help families in financial need! 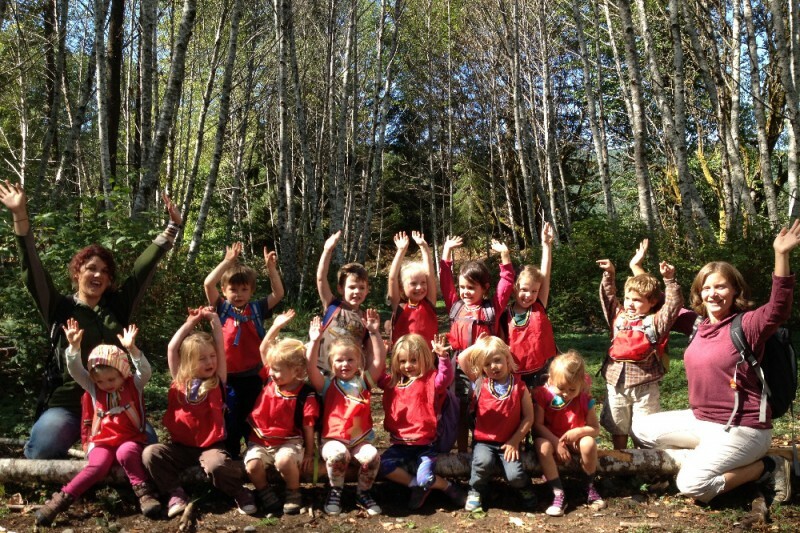 Hand-In-Hand Early Years Nature Education Program has currently raised $1,245 of our $13,000 goal! As of now, we are just about able to fully support a family in registering their little one in our 2017-18 program. ..and that is very exciting news to us all! Thank you to all who have supported us and continue to support nature education! Please feel free to spread the word to others in your circle of family and friends. Hope for young children to grow up appreciating nature. All living things are important to the cycle of life. Love your work Jarrett, you're the man. Hope all is good with you and the family. HIH is such an AMAZING program with fantastic educators - truly a top notch crew with their hearts fully invested in the kids! Love the email and dedication to your program! Hope you can reach the goal. ET Burnum! Thanks for fostering humans and nature engaging together. Forest schools rock! Great idea Jarrett. Good luck!